eNLokam: To the Space and top of the Everest!!! To the Space and top of the Everest!!! Scott Edward Parazynski M.D., who was born in July 28, 1961, is an American physician and a former NASA astronaut. 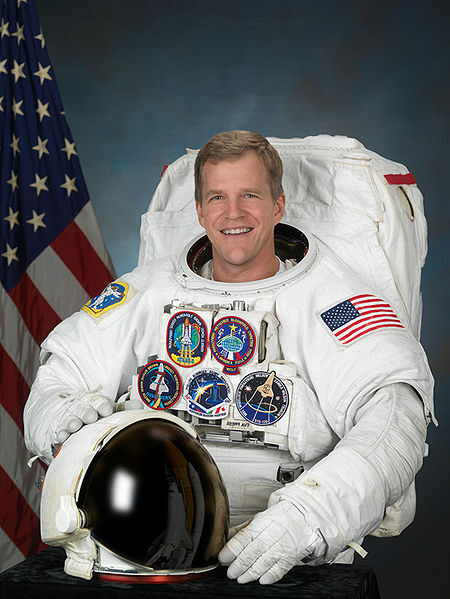 A veteran of five Space Shuttle flights and seven spacewalks, Parazynski's latest mission was STS-120 in October, 2007. 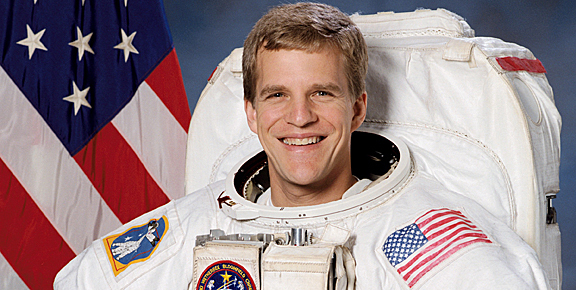 He retired from NASA in March 2009. He is the only person on this planet to have both flown in space and summited Mount Everest, the highest point on Earth. Parazynski enjoys mountaineering, rock climbing, flying and scuba diving. An expert pilot, Parazynski has logged over 2500 flight hours in a variety of aircraft. As a mountaineer, his summits include Cerro Aconcagua (22,841 feet/6,962 m) and 53 of Colorado's peaks over 14,000 feet (4,300 m) in altitude. He first attempted to summit Mount Everest in May 2008, but was forced to turn back before the summit due to a severe back injury. A year later, on May 20th, 2009, he successfully summitted the 29,029 feet (8,848 m) mountain!